• They rely on the flex of the plastic shell to act as the spring resistance during f­­­­orward flex. On cold days the boot can feel hard as a rock and on warm days it feels very soft. Also, this flex is not very linear in its feel as flexing plastic does not make a very good spring. • You do not have the ability to “tune” the boot and make it feel the way you want it to. Sure, you can get softer/harder tongues but they are still not truly adjustable and they tend to be hard to find for most snowboard hardboots. • Some boots do have spring systems but some only have a single spring for toe side flex only (no heel side control). We have found from our studies the springs are not long enough to allow for the amount of forward (and rearward) travel the performance carver needs and demands. Thus we developed the Bomber BTS. With the BTS you can now have multiple adjustments to make your boot feel the best for you. First, we use a 3” (76mm) spring for the toe side flex and a 1.5” (38mm) spring for the heel side flex to allow for plenty of travel in either direction. Second, we offer three versions of each of these springs to allow you to pick the springs that best work for you and how you like to ride. 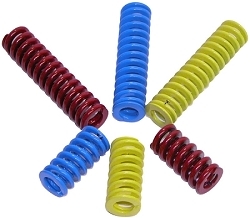 And finally, all the springs have the ability to have their pre-load (amount the spring is loaded before use) adjusted with either a 5mm Hex key or an open-end wrench (3/4” or 19mm). This same adjustment also allows you to adjust your static forward lean position. Keep in mind the BTS does not have a “Walk” mode, this system is designed for pure performance and adjustability, but that said, we’ve never found the need for a walk mode with these babies. Installation: The Bomber BTS is easy to install on a Deeluxe boot. Just drive the pins out that hold the current mechanism in place, remove this mechanism, insert the BTS, and drive the pins back in place. A full set of instructions are included. Soft (Yellow) Springs: Light to medium weight riders who want the softest flexing boot. Hard (Red) Springs: Heavy weight riders who want the stiffest flex possible out of their boots. 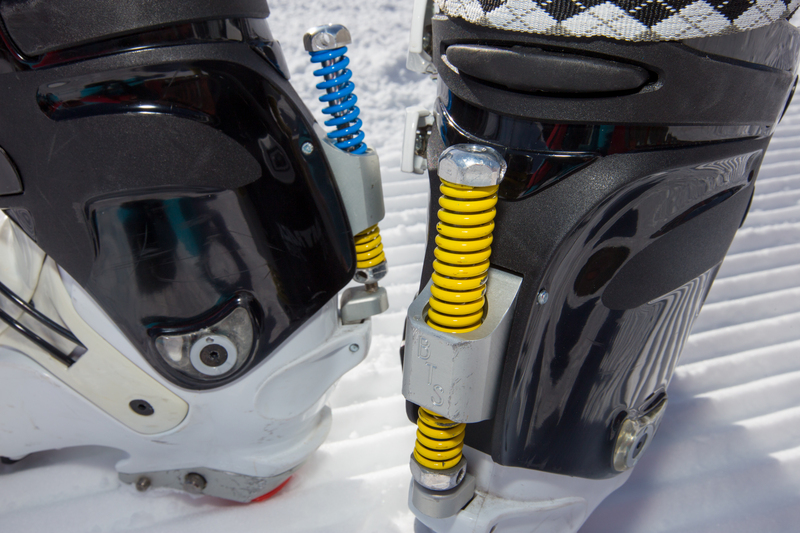 The Bomber BTS (Boot Tuning System) will work only on Deeluxe/Raichle snowboard hardboots*. * Does Not work on earlier SB121 Raichle boots. Stock BTS does not work on the HEAD Stratos pro boots.